"Each year since 2002, the National Recording Preservation Board (NRPB) and members of the public have nominated recordings to the National Recording Registry. The depth and breadth of nominations received highlights the richness of the nations' audio legacy and underscores the importance of assuring the long-term preservation of that legacy for future generations." 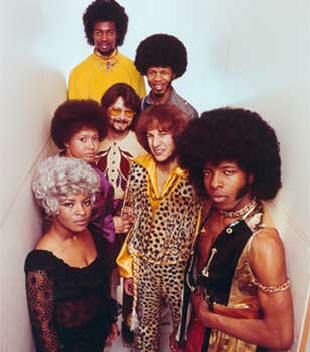 Purple Rain was selected for the 2011 registry. "Each year, the National Recording Registry at the Library of Congress chooses 25 recordings showcasing the range and diversity of American recorded sound heritage in order to increase preservation awareness. For many recordings, nationally-known scholars have kindly contributed short essays describing further the work's importance..." Stand was selected for the 2014 registry. 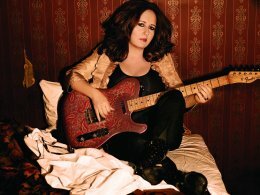 "The Revelation of Teena Marie"
Teena Marie - Lady Tee - was a trailblazer and unsung hero of funk, soul, R&B, jazz, rock, and rap. Eddie interviewed Teena Marie for this profile in June of 2009. A review of New Amerykah: Part One by Erykah Badu.